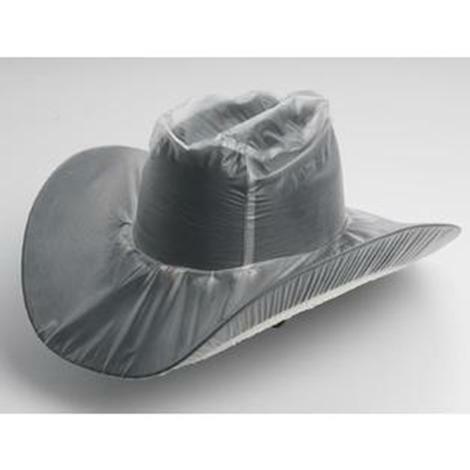 This hat cover will help protect your prized cowboy hat from the weather. 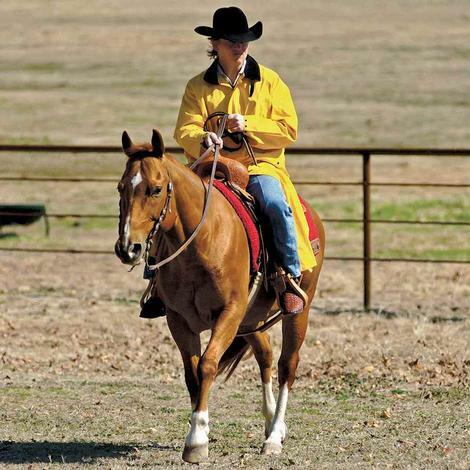 The M&F Western Saddle Slicker rain coat provides weather protection for the rider and saddle. Made with a waterproof PVC shell that is easy to clean with the use of a damp cloth. Features include: A zipper closure with a storm fly front flap. Snaps for optional closure around the legs. A comfortable corduroy-lined collar with Velcro neckline closure. Adjustable inner drawstring around the waist. Front pockets with snaps and handwarmer side entry. Adjustable snap cuffs. And an attached back cape.